Russia’s police reform has started with abandoning the Soviet term militsiya and adopting the more universal name politsiya, or police. However, the subsequent universal re-attestation has raised a number of questions. ­The most controversial news came this week from Chechnya. 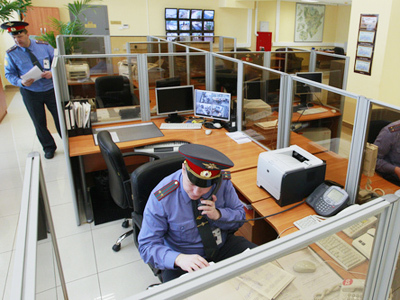 Local parliamentarians have submitted an amendment to the State Duma on the recently approved Law on Police that would allow people with a criminal record to join the force in cases, where they had been amnestied or if the criminal case against them had been dropped after an amicable agreement between the parties in the process. Chechen parliamentarians based their initiative on the article of the Constitution that forbids making the laws that would infringe on basic human freedoms. This reason apparently rather broad, is explained in the comments to a letter in which Chechen lawmakers admitted that the new law would raise eyebrows for a large number of local police officers, including those who have significant experience and who have done much to benefit society. Thus, the initiative is geared to protecting those who joined the Interior Ministry after leaving the ranks of illegal militants. Federal and local authorities conducted several amnesty campaigns in Chechnya between 2003 and 2008, offering those who voluntary surrender to drop criminal charges under the condition that they had committed no grave crimes. These events were not especially popular, but nevertheless, several hundred people changed sides given the opportunity. The head of Chechen Republic, Ramzan Kadyrov has not made any official comment on the initiative. 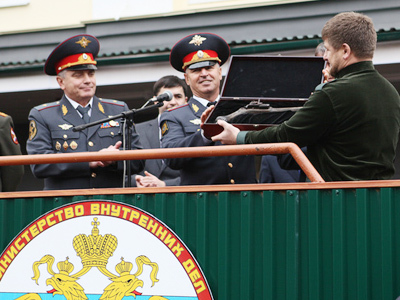 The obligatory re-attestation of top police officers also caused a stir in the Russian media. According to unconfirmed reports, one of the initiators of the reform, the chief of staff of the Interior Ministry General Vladislav Volynskyi failed to pass the test. The daily, Moskovsky Komsomolets linked this fact with a series of corruption scandals that took part over a year ago. The attestation of the top commanding officers is conducted by a special commission with the President of the Russian Federation. The commission has already conducted psychological tests in several departments of the ministry, but the inspections’ results have not been made public yet. Such psychological tests are not obligatory by law, but the refusal to take them is included in the written report on every officer that has to be prepared by their superiors.